LOS ANGELES, Calif. /California Newswire/ — Uproar Entertainment is excited to announce the release of Josh Adams’ first comedy CD "LIVE FROM THE DROP." Recorded in front of a live audience at The Drop Comedy Club in South Bend Indiana, Adams delivers a clever, laid back, in your face look at the world in which we live accented with heavy hitting jokes. Fellow comedian, Paolo Busignani says, "There are not too many people who can take a scary, embarrassing, or awkward moment in their lives and make it funny quite like Josh Adams. 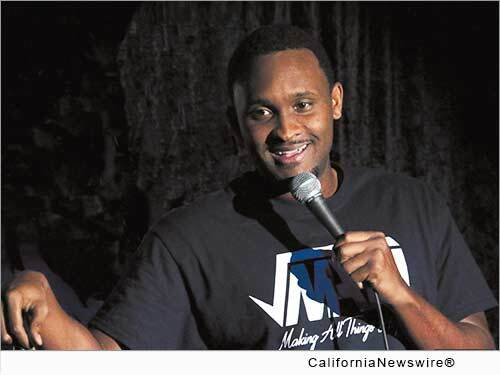 His upbeat and energetic style captivates audiences, while his jokes hit as hard as a heavyweight fighter, and your ribs will hurt just as much from laughing so hard." Adams was first inspired by Tommy Davidson's Showtime special "Illin in Philly," and has used that spark to develop his own unique brand of comedy. Never hesitant to step out of his comfort zone, Adams' versatile style has won him numerous titles in comedy competitions. Adams considers winning the prestigious "Showtime at the Apollo" at the historic Apollo Theatre on BET's "Apollo Live, Season 2" a personal milestone. He also won "Showdown in Motown" and the "Devils Cup Comedy Competition" at the Laughing Devil Comedy Club in New York. He was named "Funniest Person in Grand Rapids" and awarded "Best of the Fest" at Mark Ridley's Comedy Castle's "Detroit Laugh Comedy Festival." How Do Finances Apply To Dating?